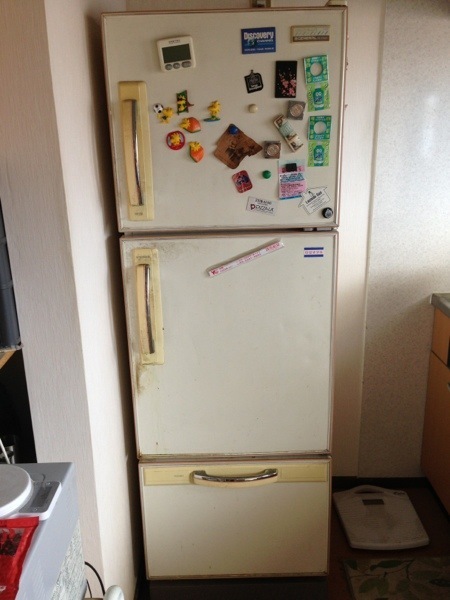 Well here’s the old refrigerator, and the new refrigerator. 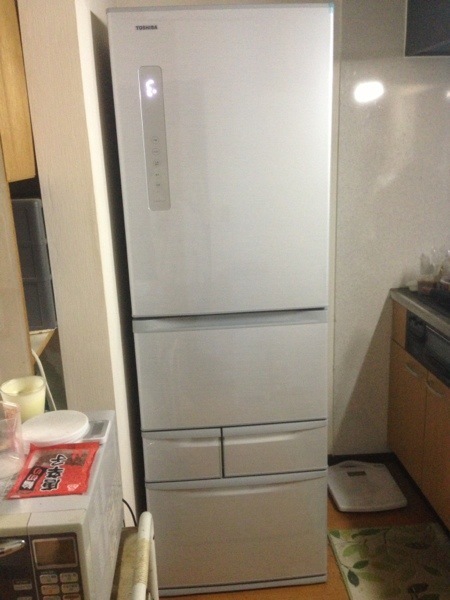 The new refrigerator is obviously much larger than the old refrigerator. I had to take the photo from further away to get it all in. So I do believe the old one was 275L, and this one is 426L. But it’s the same width, so it fit in perfectly. There’s a front touch panel with illuminated displays for setting different features and levels for the different drawers. In this picture just one of the displays is lit up. They said I should wait a couple of hours before putting the food back in. I think it looks pretty nice, though I haven’t formed an emotional attachment to it yet. It’s made by Toshiba, and it is supposed to be very energy-efficient. Now to get everything back in and go on with my life. Very nice! Full of envy! It just needs some magnets! I’m adding them back now! Look forward to a photo later.